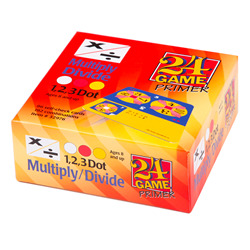 How to play Multiply/Divide Primer. Card has two wheels and a white target number. Pick the wheel that makes the target number. You can add, subtract, multiply or divide. Use all numbers on the wheel, but use each only once.